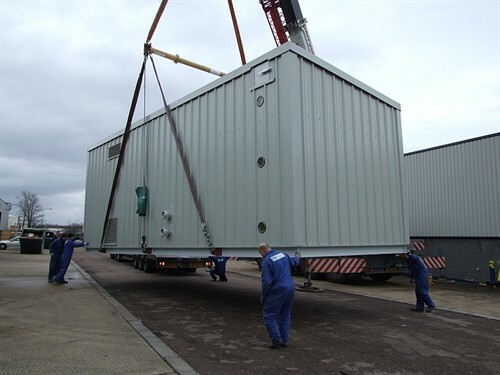 Where customers don’t have the internal space available for a biomass heating boiler and fuel store, we offer a fully containerised solution which houses both of these in a single unit. The Green Heat Module arrives at your site on the back of a lorry, fully-fitted out, and is linked to your distribution system via a single flow and return connection. Low Loss Headers can be introduced within the Module for multiple hydraulic ‘hook ups’.